William Hartnell, of St. Pancras, London, was born January 8, 1908. Born to Lucy Hartnell, he never knew his father and was partly raised by his aunt, but spent a lot of time with his mother's family in Devon, where he learned to ride horses on their farm. After leaving school, young Billy flirted with petty crime. Upon joining a boxing club for young boys, he met art collector, Hugh Blaker, who eventually became Hartnell's unofficial guardian. Blaker initially wanted young Hartnell to train as a jockey, but having a personal love for the theater, he helped the young man get into the Italia Conti Academy of Theater Arts. Blaker also paid for Hartnell to receive some "polishing" at the Imperial Service College, but he ran away due to the strict rules set before him. In 1925, Hartnell started working under Frank Benson as a stagehand, and soon he began taking parts in numerous Shakespearian plays. In 1928 he performed in the play "Miss Elizabeth's Prisoner" alongside actress Heather McIntyre, whom he married in 1929. His first film role was in 1932, which lead to over 60 film performances throughout his career. In 1942, he was cast in Noel Coward's "In Which We Serve," but he arrived late to set, which caused Coward to berate him in front of the entire cast and crew. He was forced to apologize to everyone, though Coward fired him anyway. Hartnell served in the Tank Corps for 18 months during the WWII, though he was released from duty after suffering a nervous breakdown. He returned to acting shortly after, with the majority of his roles being "tough guys," such as thugs, police officers and soldiers. 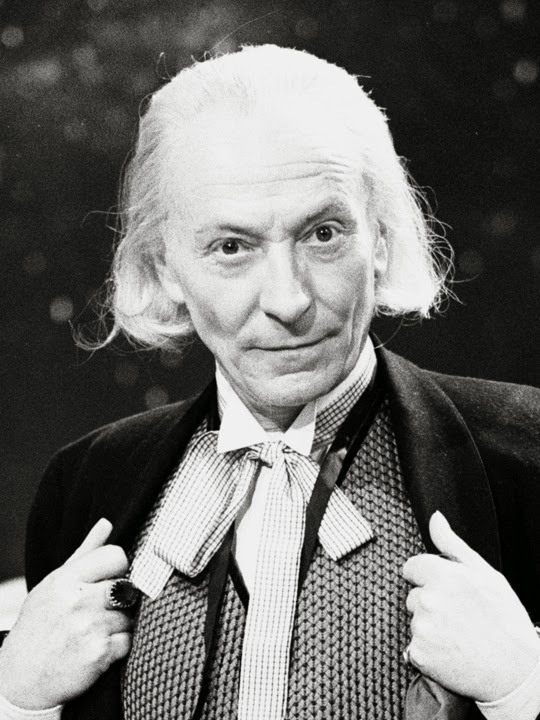 Hartnell's performance in the 1963 film "This Sporting Life" garnered the attention of producer, Verity Lambert, who was working on a new science fiction series for the BBC, called "Doctor Who." Initially pitched to him as a children's show, he was reluctant to take the title role he had been offered, but he wound up taking the part because it broke the streak of gruff roles he had previously been typecast in. Some people considered Hartnell difficult to work with, while others gave him nothing short of rave reviews. By 1966, Hartnell was earning the US equivalent of around $510 per episode, which would be around $6500 today. Hartnell suffered from arteriosclerosis, which began to impact his ability to say his lines. In conjunction with his declining health, the departure of Verity Lambert and rumored poor relations with the new production team, led him to leave "Doctor Who" in 1966. It was at this point in time that a producer came up with the idea of the Doctors regeneration; since the Doctor was an alien, he could physically transform and renew himself. Hartnell himself suggested his replacement, Patrick Troughton, stating that "There's only one man in England who can take over, and that's Patrick Troughton." Hartnell returned to play the Doctor in the tenth anniversary special, "The Three Doctors." When his wife Heather caught wind of his plans to return, she alerted the crew that he wouldn't be able to take part in the special because his health was deteriorating and his memory was failing. The production team came to an agreement with Hartnell's spouse that he would be seated for all of his scenes and his lines would all be provided on cue cards. His appearance in the special was his last performance. Throughout the 1970s his health began to decline rapidly, leading him to be permanently admitted to the hospital in 1974. In early 1975, he suffered a series of strokes caused by cerebrovascular disease. Hartnell died in his sleep on April 23, 1975. In 1983, Richard Hurndall stepped into the role of the first Doctor in the 20th anniversary special, "The Five Doctors." In 2013, colorized footage of "The Aztecs" was spliced with new footage of Jenna Coleman (companion Clara) and body doubles of the first Doctor and companion Susan, for the episode "The Name of the Doctor." Hartnell will be portrayed by British actor David Bradley in the upcoming feature, "An Adventure in Space and Time," which focuses on the first few years of "Doctor Who."